Founding Father Thomas Lynch Jr. Wife of Declaration Signer Thomas Lynch Jr.
Elizabeth Shubrick was born on February 5, 1749, in South Carolina. 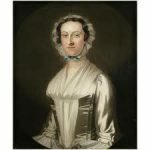 She would become the childhood sweetheart of Thomas Lynch, Jr., who was born on August 5, 1749, at Hopsewee Plantation on the North Santee River, Prince George’s Parish, Winyah, South Carolina. Jonack Lynch, the great-grandfather of Lynch, Jr., emigrated from Ireland and worked a small farm in the low country along the Atlantic coast, but had only modest financial success. At his death, he left his son Thomas his property and a little money, which was used to buy land and cultivate rice, which was to bring him a fortune. Hopsewee Plantation was built by the Lynch family between 1733 and 1740, and was chosen for the family home of Thomas Lynch, Sr. Hopsewee overlooks the Santee River and the rice fields, which were its source of income until the Civil War. 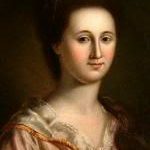 Thomas Lynch Sr. was married to Elizabeth Allston of Brookgreen Plantation, and they had two daughters Sabina (1747) and Esther (1748) and one son, Thomas Lynch, Jr. After Elizabeth Allston died, Lynch Sr. married Hannah Motte, and they had a daughter, Elizabeth in 1755. Thomas Lynch, Sr. was a distinguished public servant and one of the most important Santee River planters. In 1751, he was the delegate elected to the Commons House of Assembly from Prince George, Winyah Parish, where he served with the exception of one term until his death. Thomas Lynch, Jr. attended the Indigo Society School at nearby Georgetown, South Carolina. His father then sent him to England to take advantage of the educational opportunities in that country. The younger Lynch attended Eton College, earned a degree at Cambridge University, and studied law in London. He observed the hoity-toity attitude of the British statesmen toward the colonies, and longed to be back in his native land. In 1772, after an absence of eight or nine years, young Mr. Lynch returned to South Carolina an eminently accomplished man. Although he was qualified to practice law, he persuaded his father to allow him to become a planter. Elizabeth married Thomas Lynch on May 14, 1772, and settled at Peach Tree Plantation about four miles south of Hopsewee, a gift from his father, who by this time had become a fervent revolutionary. Lynch Jr. devoted himself to cultivating the plantation and took part in the public discussions of colonial grievances. Thomas Lynch Sr. served on the Stamp Act Congress, and in 1774 was elected to the First Continental Congress in Philadelphia. He was highly esteemed by the founding fathers, and in October, 1775, he was appointed with Benjamin Franklin and Colonel Benjamin Harrison as advisors to General George Washington. As the son of a wealthy and influential father, Lynch Jr. was soon called upon to serve in many important civil offices. He was elected to the First Provincial Congress from his parish in 1774 and reelected in 1775. In February 1776, he was chosen to serve on the Committee of 11, who would prepare a constitution for South Carolina, and served on the first state General Assembly. 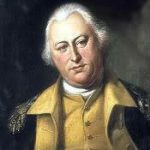 On June 12, 1775, the Provincial Congress commissioned him a captain in the First South Carolina Regiment. He accepted the command, somewhat in opposition to the wishes of his father, who offered to use his influence to obtain him a military appointment of higher rank. On a recruiting trip to North Carolina in July, young Lynch contracted bilious fever, which made him a partial invalid for the rest of his life. In February 1776, while in Philadelphia, the elder Lynch suffered a cerebral hemorrhage, which left him paralyzed and virtually incapacitated him for further public service. On March 23, 1776, the General Assembly of South Carolina, organized under the constitution he had cooperated in drafting, elected Lynch, Jr. to the Continental Congress as a sixth delegate. Although ill himself, Lynch made the trip from South Carolina to Philadelphia to serve his father, his colony, and his country in the midst of the American Revolution. They were the only father and son team to serve in the Continental Congress. Like two of the other South Carolina signers, Heyward and Middleton, Thomas Lynch, Jr. was an aristocratic planter. But, despite his wealth and social position, he experienced one of the most tragic lives of all the signers. The younger Lynch stayed there throughout the summer, attended the meetings, and voted for and signed the Declaration of Independence at 26 years of age. Only fellow South Carolinian Edward Rutledge was younger than Thomas Lynch, Jr. – by only three months. The elder Lynch was physically unable to sign the Declaration of Independence in the space left between the names of Edward Rutledge and Thomas Heyward, Jr. Therefore, they were denied the further distinction of being the only father and son team to sign the Declaration of Independence. By the end of 1776, neither Lynch was well enough to remain in Philadelphia. The elder Lynch had experienced recovered somewhat, and his physicians hoped he might live to reach South Carolina. Father and son began the journey homeward by easy stages, but the father suffered a stroke en route and died in Annapolis, Maryland. His son, broken in spirit and physically unable to continue in politics, retired from public life and reached his plantation in South Carolina in early 1777. Late in 1779, after two more years of illness, Thomas and Elizabeth Lynch boarded a ship bound for the West Indies, hoping a change in climate would improve his health, intending to sail from there to the south of France. They never made it to the West Indies; the vessel on which they sailed from Charleston was never heard from again after being sighted four days out of port. They had no children. Various rumors were from time to time in circulation concerning the vessel in which they sailed, but their friends, after months of cruel suspense, were obliged to adopt the painful conclusion, that this worthy pair found a watery grave during some tempest. Elizabeth and Thomas Lynch, Jr. died at sea in 1779. 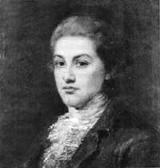 At the age of 30, Thomas Lynch, Jr. was the youngest signer of the Declaration of Independence to die. Because of this, and the fact that he had served in Congress less than a year and was ill most of the time, his autograph is extremely rare. Before he left on his ill-fated voyage, John Lynch, Jr. had made a will, which stipulated that heirs of his female relatives must change their surname to Lynch in order to inherit the family estate. His sister, Sabina followed his wishes and she and her husband, John Bowman, owned and managed the place until their son came of age. 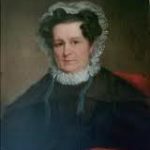 Their son became John Bowman Lynch, and when he married he had three sons, but all three sons died in the American Civil War.